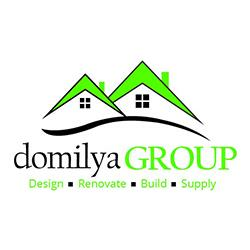 domilya GROUP is an award winning renovation company. As professional contractors we offer world class home renovation services in the Halton and Peel regions (Milton, Oakville, Burlington, Mississauga and its surrounding areas). We believe in providing exceptional workmanship and quality. Our construction team is dedicated to giving shape to your vision. Our unique “customer first” approach guides you through your renovation or construction project. domilya GROUP has been transforming dreams into works of art for over 10 years. We are contractors with various awards and accreditations under our belt and we are excited about continuing to grow our family business. Whether it’s a home renovation or something on the commercial level – restaurants, hospitals, dental practices or office spaces– we’re ready to make your dream a reality. Awards: Best of Houzz 2015 and 2016- Client Satisfaction, Best of Trusted Pros 2015- Winner for Kitchen Renovations and General Contracting in Oakville, Best of Trusted Pros 2014- Winner for General Contracting, Home Stars 2012 and 2013- Bathroom Renovator of the Year in South West Ontario, Trusted Pros- Oakville Renovator of the Year 2012 in Dry Walling.